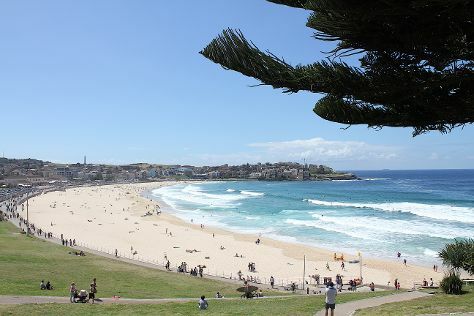 Kick off your visit on the 4th (Tue): enjoy the sand and surf at Manly Beach, enjoy the sand and surf at Clovelly, and then enjoy the sand and surf at Bondi Beach. On your second day here, admire the natural beauty at The Royal Botanic Garden, appreciate the extensive heritage of The Rocks, and then wander the streets of Darling Harbour. To find traveler tips, more things to do, other places to visit, and more tourist information, refer to the Sydney itinerary planner. London, UK to Sydney is an approximately 24-hour flight. You can also do a combination of flight and bus; or do a combination of flight and train. Due to the time zone difference, you'll lose 10 hours traveling from London to Sydney. Prepare for much warmer weather when traveling from London in December: high temperatures in Sydney hover around 32°C and lows are around 21°C. On the 6th (Thu), you'll travel back home.